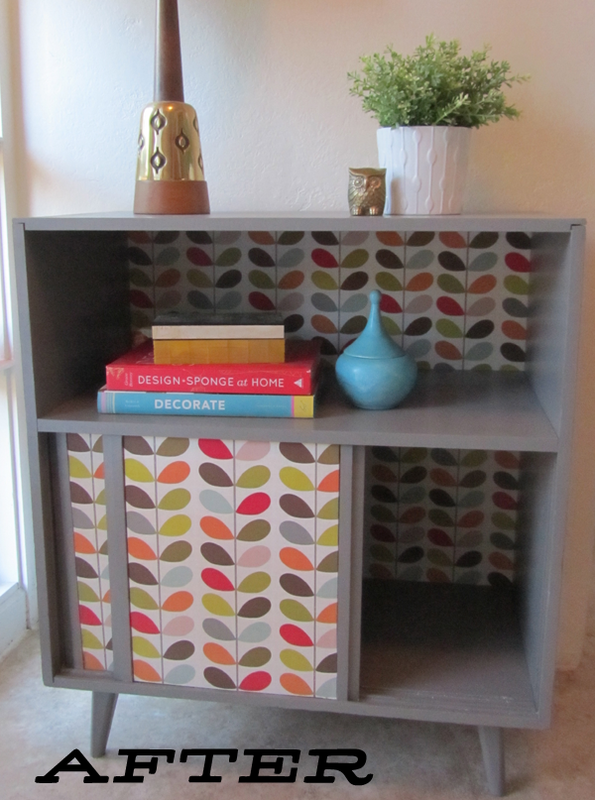 One of my favorite patterns is the iconic Orla Kiely leaf/stem pattern. When I discovered that Paper Source is now selling this beautiful pattern on paper, I knew I had to use it in a piece of furniture somehow. When I saw this piece, I knew it was the perfect piece for the job! The wood was pretty beat up, and the plastic woven sliders had to go! But the little legs and shape of the cabinet would be perfect! 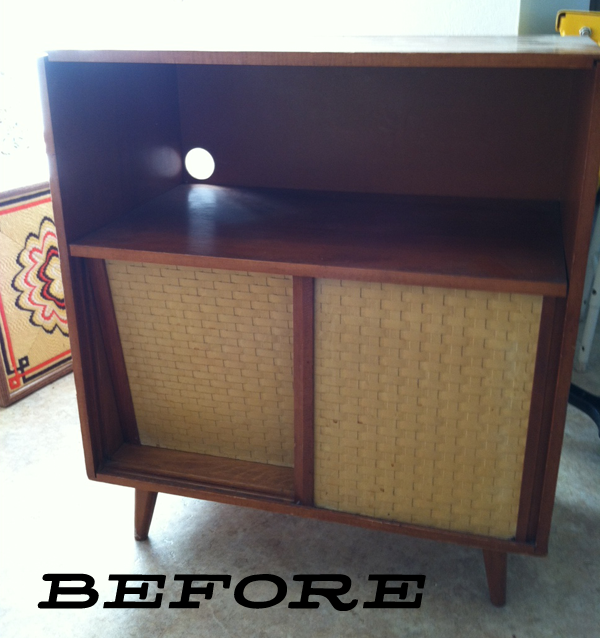 After a little (or rather a lot) of paint, and some new fresh pattern, a new cabinet was born! As you can imagine, it sold instantly (before I could even blog about!) I think I'm going to do this with a book case next. Any requests?